Will Make Beats For Food : Apt. 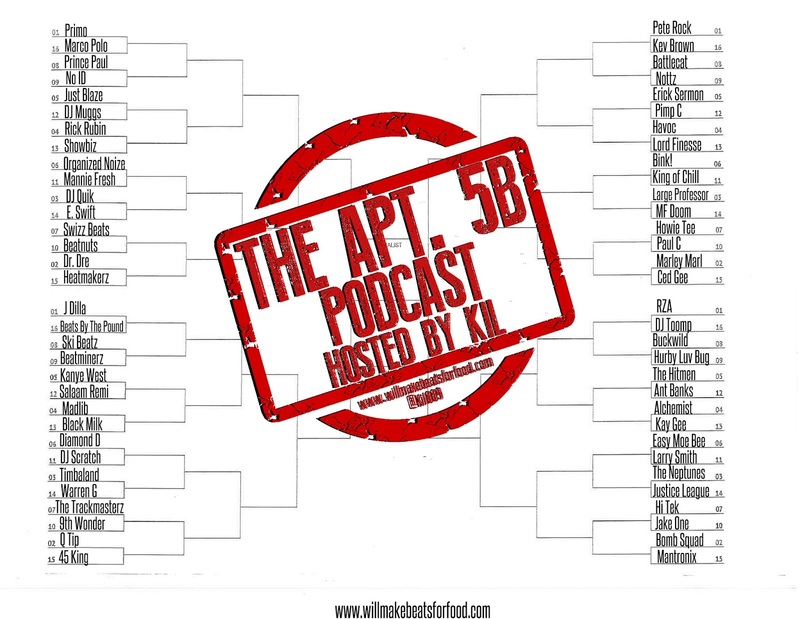 5B Podcast Hosted by Kil: Who's The Dopest Producer EVER March Madness Style?!?!?!? Apt. 5B Podcast Hosted by Kil: Who's The Dopest Producer EVER March Madness Style?!?!?!? For this week's ep of my podcast Apt. 5B with Porsha, Nick, JP & Yinse we're chopping it up about who's the dopest producer EVER March Madness style! Also peep our other March Madness shows on who's the dopest MC & group EVER! Also don't forget to subscribe to our You Tube & Mixcloud pages!